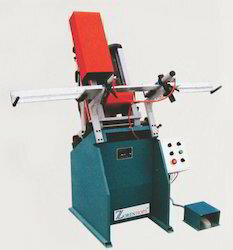 This machine is made up of the heads, hand-moving elevating mechanism, profile-holding frame worktable, machine framework, pneumatic system and electric system. Adopting the modular design and the whole machine head is one module, which makes installation and maintenance convenient. - Professional PVC window and door for waterspouts and grooves for gas-pressure balance. - Modular structure there are three milling heads, can work in a single or joint, freedom, easy to control. 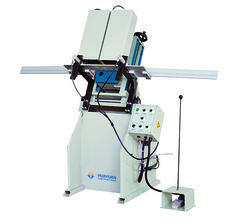 - Used for milling the water slot and the air balanced holes of air pressure of win-door in u PVC profile. - Adopt the modularization structure design, there are three milling heads which can be freely selected working in individually or combinatively, is easy to operate.